A Palo Alto woman is suing the city and members of its police department, claiming her teenage son was attacked by a police dog as officers looked on and did nothing to protect the boy, who she said had done nothing wrong. Alacia Hafner filed the complaint in the U.S. District Court for the Northern District of California on Tuesday (May 2) on behalf of her son, who is only being identified as T.M. The suit also claims T.M. was discriminated against because he is black. The troubles occurred April 7, 2016, when T.M. was at the corner of Bryant Street and Bryant Court, according to the suit. The officers drove up with sirens on and stopped their cars at the corner where T.M. and his friends were standing, the suit said. One of the officers allegedly pulled up on T.M. with her gun drawn. “T.M. had his hands in the air, was not running and was fully cooperative with police,” the suit stated. There was no warrant for his arrest and he was not on probation or parole. During the arrest, a police dog ran out of the back of a police car and “attacked” T.M., the suit said. The teen did not run. While the dog “mauled” T.M., each of the officers stood around and did nothing to protect him from the animal, the suit said. “T.M. was grabbed, struck, choked, wrenched, manhandled, handcuffed and bitten by the dog,” according to the lawsuit. T.M. 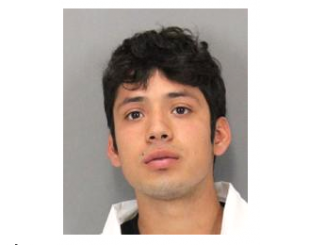 is not sure which officer arrested him, but believes all of the officers played a part in allowing the dog to attack him, holding him down, allowing him to bleed for some time, and pointing a gun at him when he was fully cooperative. 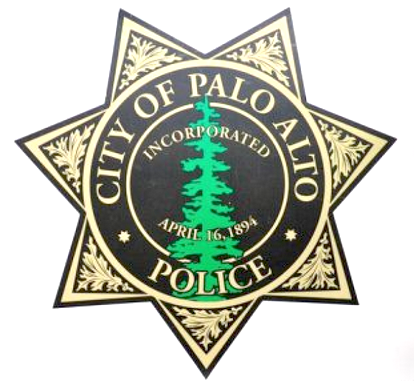 The lawsuit names the city of Palo Alto, interim police Chief Ron Watson, and officers Bradley Young, Marcus Barbour, Todd Whitehurst, Marianna Villaescusa, Khalil Tannous, Daniel Fino, Paul Burgio and Nicholas Enberg. Barbour was previously accused of pushing around a man and falsely arresting him for public drunkenness outside The Patio at 412 Emerson St. in October 2014. A settlement cost the city $3,000. 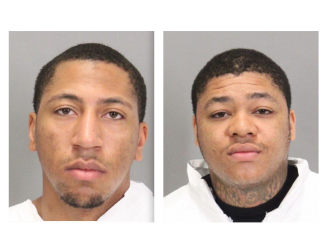 Enberg was one of the officers who shot at William Raff on Christmas Day in 2015, killing him. And Tannous was the officer who fired his Taser at Raff. Police say Raff, who was living at a mental health group home at the time, charged at them with a knife. Enberg was cleared in the shooting case. City Attorney Molly Stump could not be reached yesterday for comment. T.M. claims he did not commit any crimes before being arrested, and no charges were ever brought against him. “There was no good cause to exert any force, much less the amount of force that was exerted upon him,” the suit said. The officers “knowingly and willfully conspired and agreed among themselves to falsely arrest T.M.,” according to the suit. Did cops get proper training? The lawsuit calls out Watson for enforcing policies that use, tolerate and instruct the use of excessive and/ or unjustified force, and for engaging in the dangerous use of a police dog. Watson failed to provide the proper training and supervision, the suit said. The interim chief also allegedly failed to investigate the incident, and therefore, covered it up. T.M. believes that despite numerous complaints of officers using excessive force, Watson never investigated or disciplined the officers. He claims Watson does not keep statistics on individual officers accused of excessive force. The city knew before this incident that the police dog was “dangerous, vicious and was capable of committing such an attack on a person,” the suit said. The city allegedly failed to train its police dogs, who have bitten others. T.M. is asking that damages to be determined at trial.